We are about to sign a distribution deal. Wall Rats should be widely available this fall. We've taken our awards and are currently looking for a home and considering offers from various distribution streams. Wall Rats should be easier to find soon. We still have a few of our screener copies left. Soon you'll only be able to get dvds with fancy packaging and all that (no word on an extras though). We've probably won enough awards and will no longer be submitting to festivals. Wall Rats wins major award! We're thrilled that we've just been named Best Children's Documentary by Kids First!, the largest children's film festival in the world. We'll be accepting our award at a ceremony in conjunction with the LA Children's FF in LA, October 14, 2006. Click the link for more info. While there were no kids prizes at T-Riff, Wall Rats made the front page of the local paper and played to a packed audience. There was also a feature on Wall Rats star and local climber, Scott Cory. Wall Rats in playing twice at the Tahoe-Reno International FF. For show times, check out the T-Riff web site. 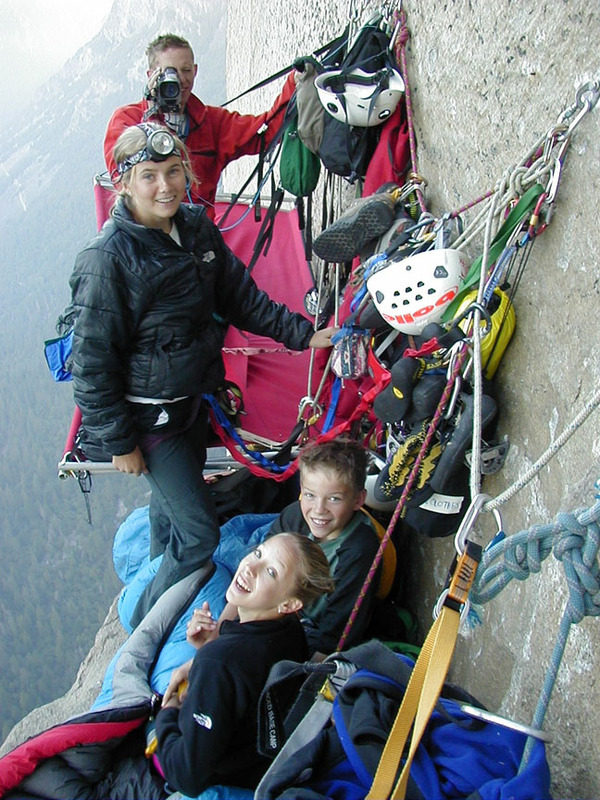 Wall Rats is currently touring with three festivals: Kids First!, Wild and Scenic, and Mountainfilm. If you'd like it in your town, please request it. Wall Rats wins another award at Mountainfilm in Telluride. It's now won an audience award, jury award, and kid's jury award at each festival it's played that's had specific children's awards. Wall Rats as been accepted to Kids First!, the largest children's film festival in the world. It will be playing 45 cities this fall. Check back for dates and times. Walls Rats has been accepted to the Telluride Mountainfilm Festival, May 26-29. Two to two. At its second screening, at the Boulder Adventure Film Festival, Wall Rats has again received the award for "Best Kid's Film." Wall Rats has been accepted at the Eugene Film Festival in Eugene, Oregon, May 12 -14. Check out the new Wall Rats page on imdb.com. You can write a review, vote, or make general comments on the movie. Wall Rats is selected to play at the Boulder Adventure Film Festival, April 15-17 in Boulder, Colorado. Wall Rats been selected to go on the road with the Wild and Scenic Festival. To request Wall Rats at a festival near you, go the the Tour Calendar and email a festival in your area. In its debut screening, Wall Rats took home the award for Best Children's Film at the Wild and Scenic Environmental Film Festival in Nevada City, Ca. Even though it only screened once, it "easily won" according to festival director Kathy Dotson. It also received "a bunch of votes" for the people's choice award. This is no small thing, since it was up against the likes of major releases such as Grizzly Man and Trudell, two excellent and important works. Wall Rats played two benefits in 2005. One was to raise money for Stacey Colliver, the other to raise funds for the Friends of Joshua Tree. Click on the names to see how you can help.